Valhalla and Lingo mk 1 power supplies, LK100 and Klout power amplifiers etc. We are still able to repair most faults on these units, so if you have a problem please contact us, we may be able to help. LP12 owners: Is it about time you had your turntable serviced ? LP12's require some servicing every 3-5 years. Doing so ensures that you get the best sound quality as well as ensuring that long term damage is prevented. New springs, grommets and bolts will tighten-up the sound as well as ensuring the turntable stays set up longer. At the same time the bearing oil can be replaced and we can provide a status report on things like the belt and the stylus. The last thing you want is a damaged stylus ruining your precious vinyl. It is also recommended that if you have a Valhalla or Lingo 1 power supply fitted that these are overhauled every 10 years. As these are now no longer available it is definitely wise to have them checked out. 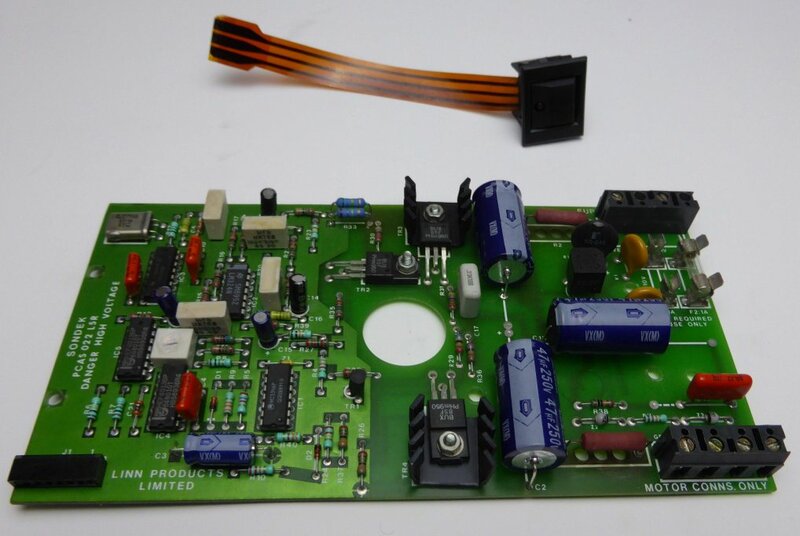 We can also check and carry out upgrades and factory modifications to this board if required. Non UK shipping also available at cost price. We now have stock of the Lingo 1 mains inlet without the filter. "The improvement of the LP12 since before the Lingo service is actually big and fundamental. This is truly the front end first philosophy being proven. The music is now bigger, more dynamic, clearer layering to the mix, lower noise floor, etc. I still don’t know how it’s done, and in a way that ignorance is magical bliss. What I do know is that Darran has restored full mojo to my LP12 for a very modest sum.I defy anybody who owns a Lingo mk1, and has never had it serviced , not to be totally blown away with what a service from Class A can do. I still can’t get my head around it, but I don’t care…!" "You did a full cap service on my lingo a week ago, and wow what a difference it's made. I am listening to my LP12 now and it sounds fantastic. I hadn't realised how the old caps must have gone off, but since you serviced it, there s much more life in the sound, it really has made a tremendous difference. Many thanks for a great job and great service"
Of course we can also take the opportunity to advise you of potential upgrades for your turntable or merely ensure that you get it back sounding as good as when you first bought it. Although now no longer available from Linn we occasionally have used Valhalla power supplies in stock, this represents a huge upgrade if you have a basic power supply fitted. Call us now for prices and details. Call 0114 2588400 to book in your turntable. We can even offer a same day service if you arrange this in advance. 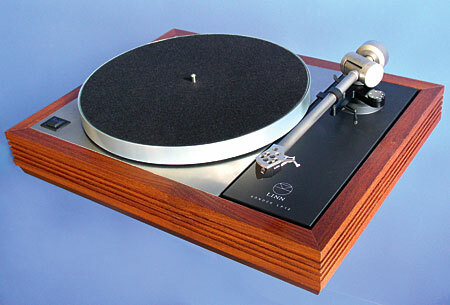 We also service Rega, Dual and Technics 1210 turntables. We can also supply drive belts, styli, cartridges and many other parts for most turntables, at very good prices. Please call or e-mail us with your requirements. See contact us page for details. A new base board which uses aluminium in place of melamine (as used in the original TRAMPOLIN) for increased rigidity. The material is acoustically deadened to provide even better audio performance. Metal base board makes the TRAMPOLIN base more rigid and acoustically deadened. Deadening will reduce vibration and therefore will not be affected as much by interference from the surrounding environment. This may not be suitable if you have an early non braced plinth and use a Valhalla power supply. The new T.Kable from Linn is an analogue armlead for use with the Ekos, Akito and Ittok tonearms. 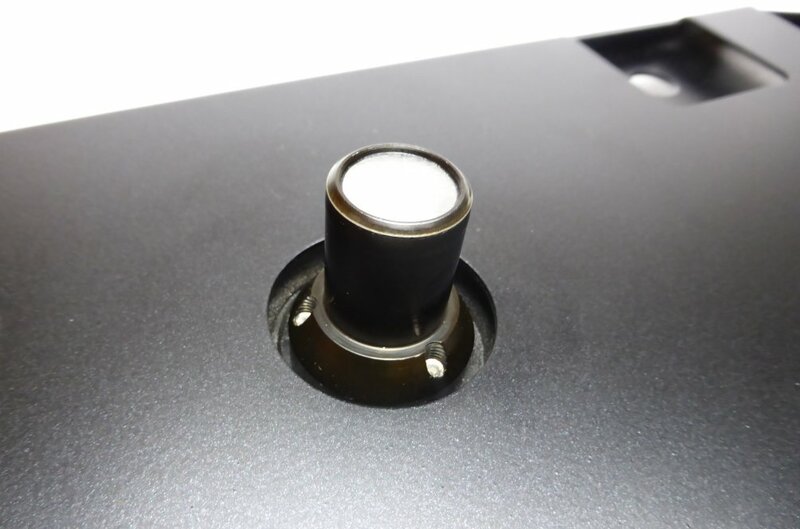 The T.Kable is made to the same high standards as the current Linn Silver Interconnect cables but has been modified physically by careful design of the insulation and outer sheathing to ensure that when fitted to the LP12 turntable the suspension operates in the correct manner. This cable offers a significant upgrade over the standard cable supplied. The LP12 has had many upgrades through the years. The major ones were given exotic names, like Nirvana, Valhalla, Lingo, Trampolin reflecting the advances in accurate sound reproduction which they represented. There have also been many unnamed improvements like new feet, new baseboard, new armboard, new suspension springs and grommets and new plinth. The list is long and it means that an LP12 need never be out of date. 1. The thickness of the bearing housing mounting flange has been substantially increased and undercuts eliminated to make it many times more rigid. This also allows the use of larger mounting bolts. 3. An increase in the height of the bearing housing from the top of its inner liner to increase oil capacity, ensuring proper lubrication of the top bearing at all times. 4. The new Majik sub-chassis to improve rigidity, reducing flexing and improving control of the relationship between key components The attached kit of parts, which includes a new inner platter and spindle, is supplied to fit this upgrade. 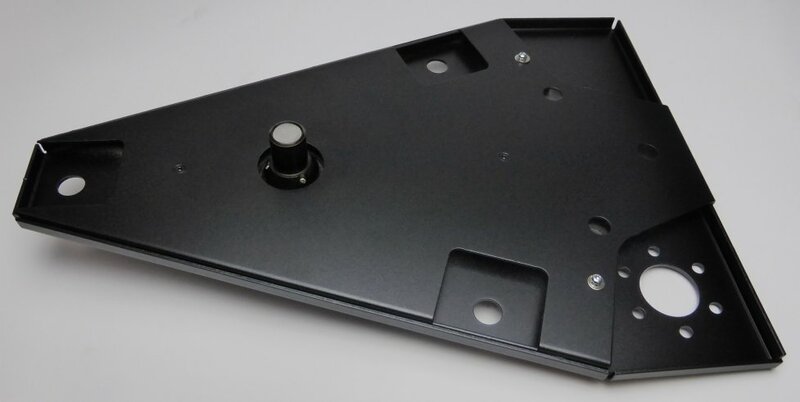 As always with Linn product improvements, new LP12 turntables will incorporate this upgrade as standard. A new arm board, springs and grommets, bearing oil and a new drive belt. We can offer a same day fitting service if arranged in advance. I get asked quite often which is the correct bearing oil to use in an LP-12, below is a table showing all bearing and housing combinations used by Linn. Unless otherwise stated always use Linn black oil. 6. Black Black: CIRKUS kit serial number 90582. Oil can cause it to seize. Sound quality, as always, remains Linn's top priority. The following changes were made primarily as sonic improvements. However, in many cases these changes have also had an advantageous effect on manufacturing techniques, assembly procedures and easier LP12 set-up. 25 year Anniversary of LP12! LP12 Cirkus bearing and subchassis upgrade fitted as standard. of the top plate to the Plinth and secures the motor corner. (Basik PSU supplied with 45 rpm adaptor). Direct coupled power supply for the LP12. Composition changed to a new harder, denser rubber. Replaced with stainless steel ball bearing. Reduces motor noise. Material changed to MDF core, laminated top and underside. Improved bearing liner material and thrust pad specification. Further tightening of manufacturing tolerance. Added strengthening bar, spot welded in place. Attached strengthening bar with epoxy glue. Strengthens and increases rigidity of plinth. 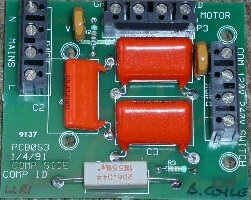 strip to small circuit board.